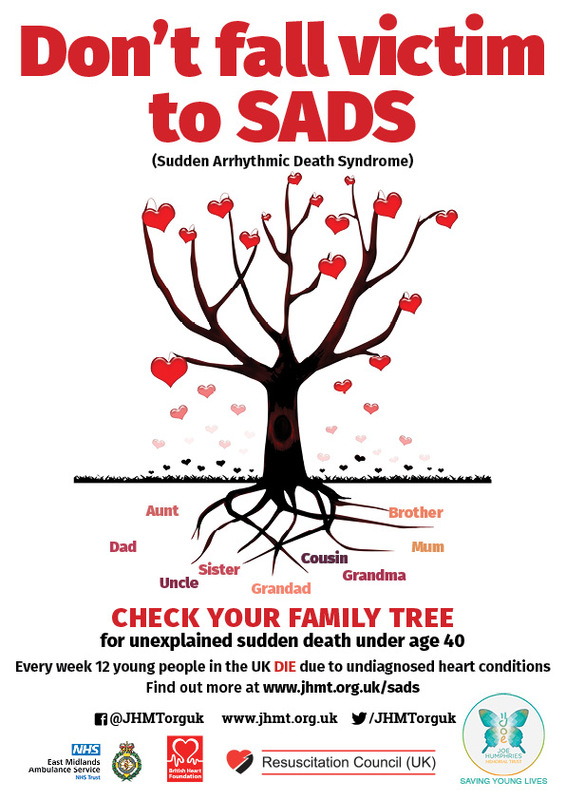 The Joe Humphries Memorial Trust's (JHMT) annual SADS Awareness Week marks the anniversary of the loss to Sudden Arrhythmic Death Syndrome (SADS) victim 14 year old Joe Humphries from Rothley who suddenly collapsed and died whilst out jogging on 4th October 2012. 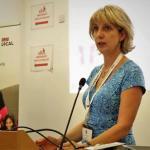 Every week 12 young people (12 – 35 years old) in the UK die due to undiagnosed heart conditions. 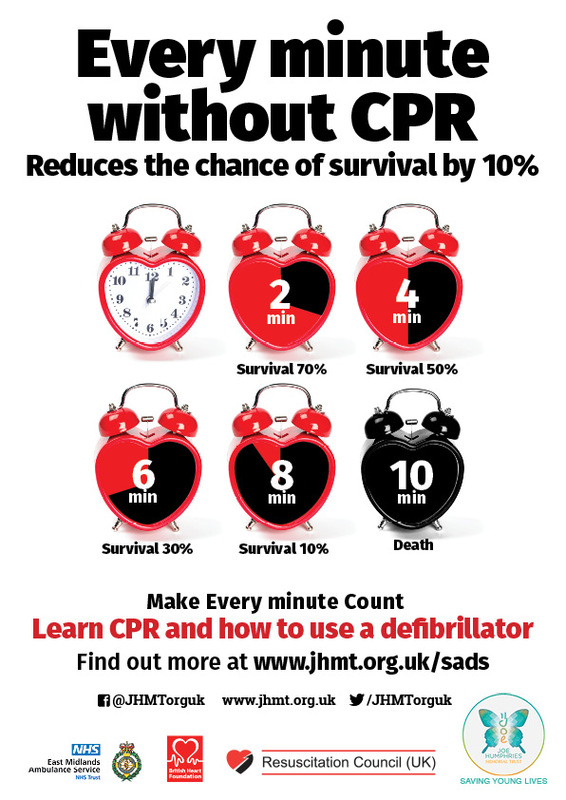 The survival rate from a cardiac arrest in the UK is less than 10% as an average, but it could be 90% if bystanders immediately start CPR and there is access to an public defibrillator within 8 minutes. 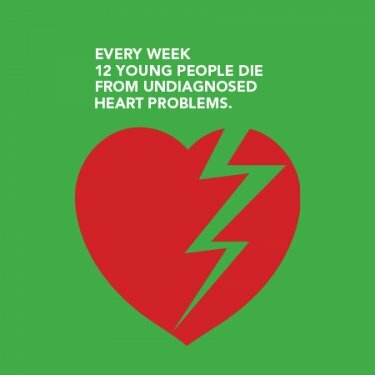 To mark this key milestone in the JHMT calendar, on the anniversary of Joe Humphries' untimely death, we hold the annual SADS Awareness Week where we remind and educate healthcare professionals, sports-related professionals and parents and carers of young people about the dangers of undiagnosed heart conditions like SADS. Year on year, we build on the awareness we raise of these heart conditions. For healthcare staff in Leicestershire, there is a SADS conference to educate hospital and community health workers about these subtle conditions and their warning signs. The expert staff at the Glenfield Hospital can diagnose patients, screen their families (many of these conditions are genetic) and prevent future deaths with advice, medication or an "internal" defibrillator. There is a lot to be positive about, so long as staff are aware of SADS. Learn more about SADS – Sudden Arrhythmic Death Syndrome which can strike without any warning in seemingly fit and healthy children and young adults. "Arrhythmic" means that the heart goes into an abnormal rhythm (beat) which can result in either a faint, or a full cardiac arrest (heart stopping and death). Check your family tree to see if there's any history of unexpected, unexplained death (under the age of 40). 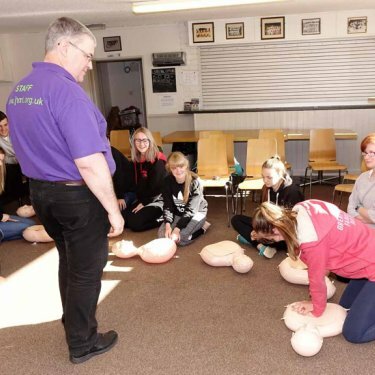 To find out more about how your sports club and group can become a member of the growing 'Heart Safe' sports community across the city and county – go to Joe's Mini HeartStart for Sports Clubs training programme. To learn how to do CPR – see www.bhf.org.uk - or search "hands free CPR" to learn from the internet – it only takes 2 minutes to learn how to save a life! As the patron of Joe's Trust (JHMT) I would like to thank everyone who has contributed so much time and effort to this year's annual SADS Awareness Week 2018 programme. Once again, a timely reminder for us all about the importance of people having the basic CPR lifesaving skills and knowing how to use a defibrillator. What a bystander does or does not do in those vital few seconds and minutes following a collapse can be the difference between surviving or not, which tragically is the case for so many people every year in the UK (27,000 potentially survivable deaths including young people). 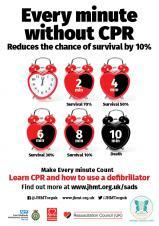 Simple Skills really do save lives and CPR can buy vital time. If more and people understand this one message during this year's SADS Week and take a few minutes to learn CPR so to be better prepared to save a life then we really can make further inroads into giving someone a better chance of survival. Well done to all those Leicestershire and Leicester sports clubs who are working closely with JHMT to create a heart safe environment both on and off the sports field. In particular, the ongoing partnership work with Leicestershire County Cricket Club and Leicestershire Cricket Leagues to create heart safe environment across all levels of the sport. We hope this will encourage other clubs and sports bodies across the city and county to take the necessary steps to bring about this level of heartsafe practice in community sport. Once again, 'Thank you' also to the loyal band of willing volunteers who give up so much of their time and share their many talents to help JHMT raise awareness of SADS and goal to reduce the incidence of sudden cardiac deaths in young people (12 ? 35 years old) like Joe. 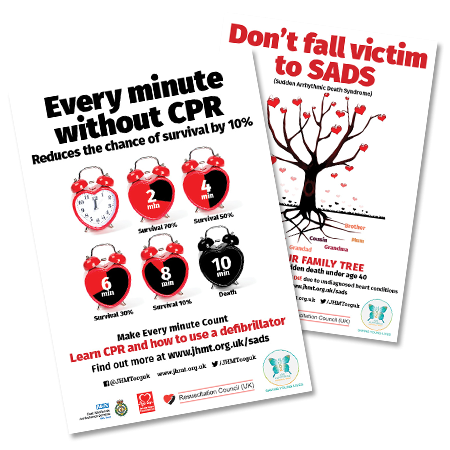 At De Lisle College, we're excited to be able to get involved with SADS Week 2018 and to be able to educate our students about CPR and AEDs, as well as the cardiac conditions that claim the lives of 12 young people each week. This is a cause incredibly close to us, as Joe's old school. 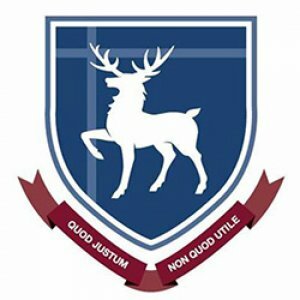 De Lisle is again incredibly honoured to support the JHMT in their amazing work and we're looking forward to many more years of teaching our students the important lesson which is CPR and how to save a life. 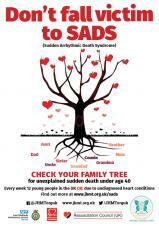 Print off this year's SADS Awareness Week campaign posters above and put it up in the office or home. Share with friends and family. 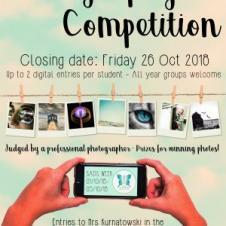 You can also download a copy of the 'Make Every Minute Count' screen save advert to promote the week on your Facebook and Twitter home page. Right-click on the link to the file you want to download. Choose "Save Target As …"
Choose where you want to save the file on your hard drive. One of the key priorities for JHMT over the past six years has been our focus on shifting attitudes on the importance of creating a new generation of life-savers who have the basic lifesaving CPR skills in knowing how to save a life. This investment in other European countries and USA has, over time, resulted in increasing survival rates in these countries to 56% compared to only 10% UK. A heart attack is different from a cardiac arrest: during a heart attack the heart will continue to beat but in a cardiac arrest the heart stops beating and no blood reaches vital organs and these become badly damaged. It takes minutes to for this situation to become irreversible, but only seconds to start CPR and save a life. 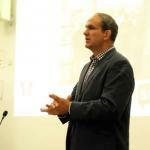 Dr Mike Ferguson, JHMT said: "Sadly, in the UK, there are 60,000 cardiac arrests every year in the community. Half of these are witnessed, often by family and friends, but the survival rate is less than 10 per cent. "Only 20 per cent of victims are in a 'shockable rhythm', which is treatable by defibrillation, by the time an ambulance arrives. Survival is much more likely when a shockable rhythm is present. "The proportion of people in a shockable rhythm could be increased if more cardiac arrest victims received immediate and effective CPR from bystanders. That's why we're so keen to provide this vitally important training and make sure as many people as possible know what to do to increase someone's chances of survival. 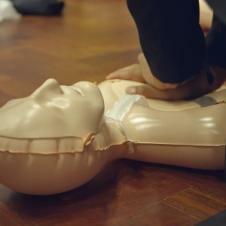 "Many school children have been given training in CPR. With the help of many sports clubs JHMT is concentrating on getting public access defibrillators in, or close to, sports facilities and expanding the basic training to all sports participants. Sport now has a "Duty of Care" and already the Leicestershire cricket fraternity have adopted the principle of having public access defibrillators installed wherever possible. This is being mirrored in football and rugby. If you want to go the extra mile to help Joe's Trust raise awareness and reduce the incidence of sudden, cardiac death in young people, 12 - 35 years old, please come and join us. 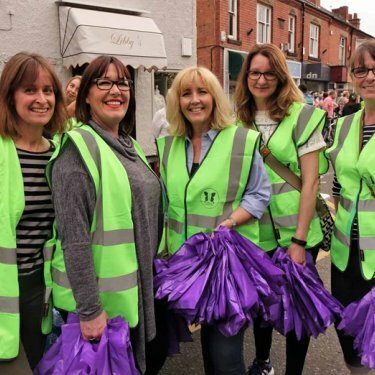 It doesn't matter whether you can sponsor an event, taking part in fundraising activities, hand out leaflets for an hour, or make a cup of tea.